"Organic farming is the highest-certified level of animal welfare, so that's one of the things that really sets organic produce apart from any other kind," says Jerry Naish of Yeo Valley, a proudly organic dairy farm that you'll undoubtedly be familiar with from supermarket shelves. "Organic farming is about working with the land. Certainly at Yeo Valley, we believe the soil is the most important part of all of our food, because everything we eat comes from there." It's a simple fact that many modern farming methods drain the soil of nutrients, which means it will eventually stop being productive – something that organic farming aims to avoid. And being organic is important at every level, from the food you eat to the foods the animals eat, to the produce that comes from the animals we consume: "There''s no routine use of growth hormones or antibiotics, which are two things which are really concerning, not just for the health of the animals but also for the health of us when we eat them". As Naish points out, one of the main ideas behind organic farming is "making your system fit your animals, rather than your animals fit your system." And if you can't afford to buy organic? "British farmers have some of the toughest animal welfare and food production standards of any country, so by buying British first of all, you're supporting these better forms of farming." 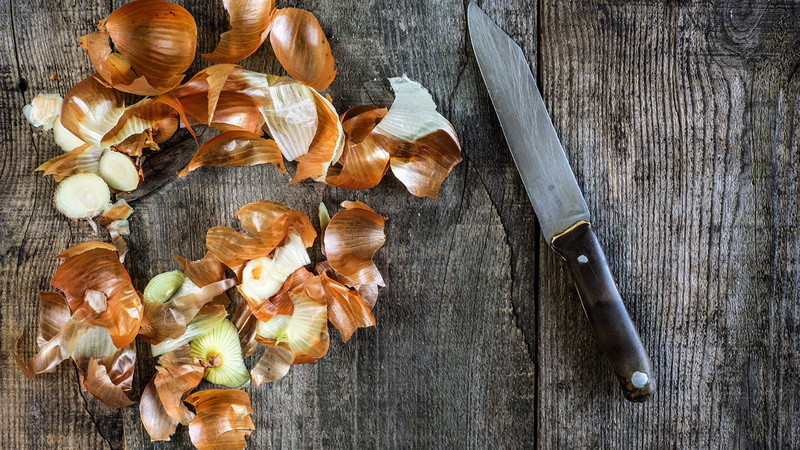 Unnecessarily binning bits of produce that are edible is something we're all guilty of. "People don't question things anymore, we cook on autopilot," says green-minded chef Bruno Loubet of Grain Store in King's Cross. "It's good to use your imagination." He suggests, when cooking mashed potato, frying the skin you peel off and using it as a crispy topping for the mash or to make snacks. "Most of the time, leeks have already lost 40-50% [of their stems] on the farm because they need to have the right size, the right this, the right that. So I'll use the green bit in a soup, and the white bit in a dish like quiche or with fish." Loubet also mentions beetroot tops, which are popular in Italian cooking. "You can use them in pasta dishes, or there are lots of recipes online." The leafy tops can also be wilted and used as an alternative to spinach. Food subscription boxes can initially seem like a luxury, but there's far more to them than that: they're largely put together with seasonal food, plus they reduce packaging and encourage us to get to grips with produce we wouldn't normally try, as well as minimising car journeys to the supermarket. What's more, they're largely linked with organic, higher-welfare farms. 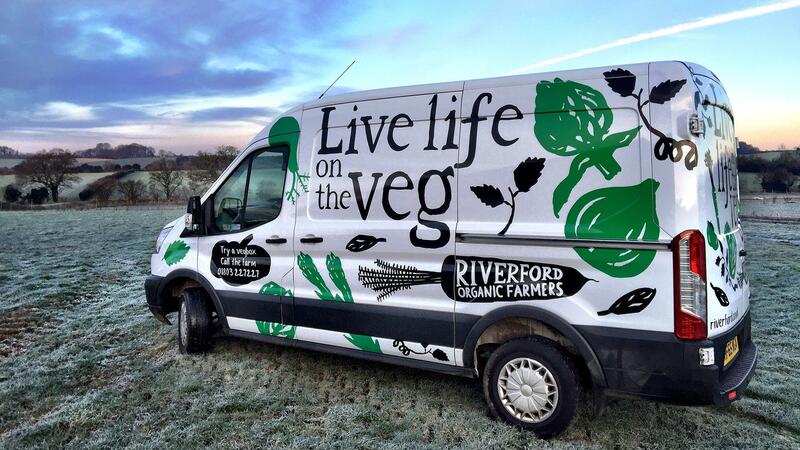 Riverford Organic's boxes (from £10.25 a week for a small veg box, delivery is free) are packed with 80% homegrown organic veg that's grown for flavour rather than aesthetics, and the company always gives its farmers a fair deal. Minimising packaging waste is another one of its key aims, and each item is packed loose in recyclable, reusable or compostable boxes. Fellow food box supplier Abel & Cole (boxes from £11) is equally focused on keeping waste to a minimum, creating chill boxes using British sheep's wool. "We work with many of our suppliers to come up with sustainable solutions – this year, we created a biodegradable carrot bag made from biopolyester which keeps carrots fresher for longer and is easily compostable," says Abel & Cole's culture director, Claudia Ruane. Both companies take the same approach to their other groceries, providing a range of organic meat, cheese and eggs. "Organic farming is the very best way to go," Ruane says. "It protects our countryside, insists on the best animal welfare, supports your local community and, quite frankly, tastes heaps better!" If delivery services aren't an option, Tesco, Asda and Morrisons sell wonky, 'imperfect' veg boxes to reduce waste. If you struggle to factor sustainable thinking into daily life, technology is at hand, with apps leading the charge. Olio is a free app available from the App Store and Google Play Store that connects you with your neighbours and local businesses so that extra food can be shared instead of thrown away. Food nearing its sell-by date in-store, spare home-grown vegetables, surplus bread or the groceries in your fridge when you go away can all be sold on through the app – and, as of last month, it even deals with non-food household products. Tessa Cook, Olio's co-founder, says, "Food waste is the third largest source of all greenhouse gas emissions, and half of all food waste occurs in the home, so anything we can do to reduce it is really worthwhile." Elsewhere, new kid on the block Too Good To Go matches users with restaurants selling food they'd have otherwise binned, and at dramatically cut prices. You pay for your dinner by card and then you can collect your food – which has been packaged up in a biodegradable sugarcane box, natch – during a designated time slot, usually after the lunch and dinner rush. Ninety-five London restaurants have already signed up, with more in the pipeline, and meals are a max of £3.80, beating a takeaway hands down. The company estimates that saving a meal from the landfill is the equivalent of saving about 2kg of carbon dioxide emissions. There's another benefit to it, too: "Too Good To Go aims to encourage social inclusion by making great restaurant meals affordable to more people, while our Pay-It-Forward scheme provides meals for those who need it most, offering a helping hand to the most vulnerable sections of society," says Chris Wilson, co-founder of Too Good To Go. "Preserving is a great way to use up the seasonal glut and give the harvest yield longevity," says Kylee Newton of Broadway Market stall Newton & Pott and author of The Modern Preserver. "The techniques were around long before refrigeration, and preserving is an age-old concept for eating healthily in the months where there's less fresh produce available." With refrigeration using so much energy, there are doubts as to whether we'll be able to continue to do it on such a large scale – and pickling, preserving and fermenting fresh produce is a great way to make it last longer. Things like chutneys are particularly good for using fruit and veg that might otherwise go to waste as they can be made with produce that's past its prime, while bruised fruits are ideal for making syrups and infusions. Looking for inspiration? Try this recipe for blueberry, rhubarb and lemon thyme jam. Pickles have a similar history of supplementing our diets through leaner months, but their importance declined with the advent of the fridge. These days, though, they're the trendy homemade food du jour. Making them is simple – submerge the freshest veg you can find in a vinegar, salt and sugar solution, add any spices you think will go, seal and then leave for up to three weeks. According to Wrap, the government's waste advisor, about ten million tonnes of packaging is used in the UK every year, 70% of which is due to the grocery sector and 4.9 million tonnes of which ends up in landfill. That's a lot of waste. Nevertheless, those boxes, cartons and bags play an important role in protecting and preserving our food products – which is why companies are taking steps to optimise the packaging they use. Supermarket brand BOL has developed new salad jars, complete with screw-on lids, designed so that the packaging can be upcycled to store or transport future meals. "All of our products are recyclable, but creating something that people can reuse means we've easily cut out a whole section of the supply chain," says BOL's operations manager Graham Walker. It's an idea that's simple and effective, and the company intends to continue developing similar products. 'Reduce, reuse, recycle' may have more relevance for us today than ever before. Other than sourcing organic, free-range animal produce – and eating less of it – there are alternative ways to lessen your impact on the environment when it comes to eating meat. Devon-based farm Cabrito Goat takes billy (male) goats that would otherwise have been euthanised at birth – because they don't produce milk – from the goat dairy industry and raises them (or finds farms that will) until they're ready to be eaten. "Nanny goats need to be kept in lactation to provide milk for the dairies, which means they have to be periodically pregnant," says its founder James Whetlor. "When baby goats are born, the female ones go back into the herd but the males are usually euthanized. It's a waste because the same amount of energy – food, heat and manpower – goes into each pregnancy, whether the outcome is a male or a female kid goat." Goat is increasingly gracing our tables, with restaurants like Smoking Goat in Soho (see page 72 for more), Quo Vadis and The Jugged Hare sourcing their meat from Cabrito – whose products are now also available from Ocado. There are benefits beyond being less wasteful, too: goats are easier to raise than sheep, lower in cholesterol and fat than beef, pork or lamb, and high in protein and iron. As for the taste, it's got a rich flavour and dense, meaty texture that's similar to lamb, making it a delicious alternative in curries and when slow-cooked. Booze with a minimised impact on the environment? Now that's our kind of tipple. Winemaker Le Grappin produces 'bagnums' (yes, really) of its red, white and rosé. Aside from being delicious, there's another reason we like them so much: using bags requires less energy at several levels. "Being environmentally friendly was the major impetus [for making wine this way]," says founder Andrew Nielsen. "But BIBs also keep wine fresh beyond a day or two. 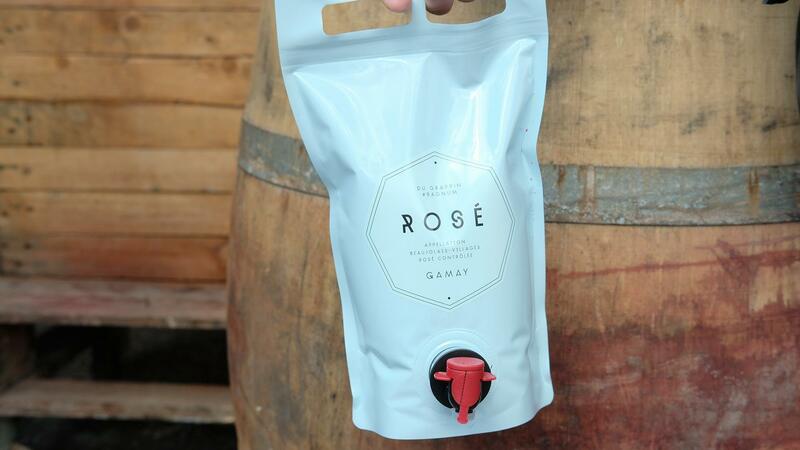 This way, you can have a glass of rosé while preparing dinner, and come back to the 'bottle' the next weekend." As for being sustainable, the biggest environmental impact saving through BIB wines is shipping weight. A bagnum weighs 44g and holds two bottles, yet the average bottle weighs 350-400g, so there's a much smaller carbon footprint when transporting them. Elsewhere, top London restaurant St John is a purveyor of BIB wines that you can drink there or take home, such as its 2013 Pic St Loup red (£31), a soft and fruity Languedoc cabernet-syrah blend. Wine-forward restaurant Vinoteca has also offered several five-litre BIBs for the past five years. It seems obvious, but use-by, sell-by and best-before dates are essentially a simple way for us to make sure shops don't sell us food that's past its best – and also helps the company to cover itself in case someone eats something that's gone off. There's a growing argument that the system is flawed, causing us to throw away tonnes of food unnecessarily. "I think we can become over-concerned with these dates," says vegetarian chef Anna Jones. "I generally ignore them, instead using my instincts to work out if something is OK to eat or not. The real skill is in your shopping – making sure you buy the best produce that looks the freshest, which doesn't always work when it comes to online shopping and deliveries." Working mainly with vegetables, Jones is well acquainted with identifying fresh produce. "I use my hands to check that vegetables are firm and my nose to check that all is ok. I rarely throw anything away at all – if something looks like it's only got a day or so left I'll put it into a quick soup or even into my morning juice or smoothie." Salad is often what you reach for when trying to put together a quick and healthy meal, but it may not be as good for you as you think: if you're picking up bagged leaves rather than a whole lettuce, the nutritional value of the leaves deteriorates as soon as it's bagged up, and the leaves are often washed in a solution filled with chemicals (on a side note, if you do buy bagged salad leaves – it's probably a good idea to wash them). As for being good for the planet, they're some of the worst offenders: fruit and veg are the most wasted food in our homes, according to Wrap's website Love Food Hate Waste. What's more, washing the leaves commercially wastes far more water than you would at home, the leaves go off quickly because they are often weeks old, and they need a huge amount of water and energy to grow on a mass scale; not to mention that the bags themselves can't actually be recycled. The best alternative is to grow your own. The Eden Project, Cornwall's educational charity and social enterprise that's also home to the geodesic domes that house the largest rainforest in captivity, advises getting started with herbs. Julie Kendall, lead horticulturist for the outside gardens, says: "Herbs are easy to grow in window sills and hanging baskets and my best advice is to grow the ones you use the most. I always have parsley and basil growing on my window sill. In the spring, pick attractive pots and sow the seeds direct onto a free-draining compost surface. Place them on a sunny windowsill and watch them germinate. Dill, tarragon, thyme, and coriander are good choices to grow at home." One thing to remember is that all plants grown in containers are reliant on you as the grower for their food and water. Kendall also advises liquid fertilizer added to their water once a fortnight. "You'll know exactly what's gone into them – they haven't been sprayed with any nasties or chemicals."